Mario's Pizza & Pasta uses their own specialised couriers to deliver their food. 2 x Large Pizza, 1 x Garlic Bread, and 1 x 1.25L Soft Drink. 1 x Small Pizza, 1 x Garlic Bread, and 1 x can 375ml Soft Drink or 600ml Water. 1 x Large Pizza, 1 x Garlic Bread, and 1 x 1.25 Bottle Soft Drinks. 3 x Large Pizzas, x 2 Garlic Breads, and 2 x Bottles 1.25 Soft Drinks. Fresh crushed garlic, mozzarella cheese. 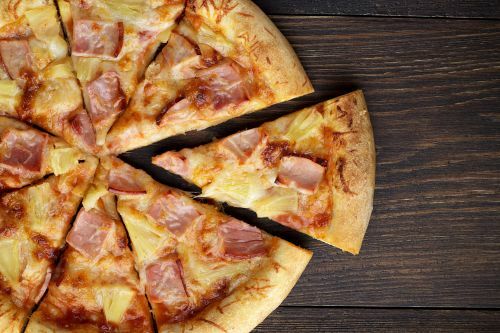 Tomato sauce, cheese, ham, mushroom and pineapple. Tomato sauce, cheese and hot salami. Tomato sauce, cheese, prawns, garlic, marinara mix and anchovies. Tomato sauce, cheese, ham, hot salami and onion. Tomato sauce, cheese, ham, pineapple and prawns. Tomato sauce, cheese, ham, hot salami, mushroom, capsicum, pineapple, bacon and onion. Tomato sauce, cheese, ham, pineapple, mushroom, capsicum, prawns, onion, bacon and olives. Tomato sauce, cheese, ham, pineapple, prawns and mushroom. Tomato sauce, garlic, roasted pumpkin, onion, capsicum, basil pesto, mozzarella and crumbed feta. Tomato sauce, cheese, ham, Bolognaise sauce. Tomato sauce, cheese, ham, hot salami, capsicum, onion, olives and anchovies. Tomato sauce, cheese, chicken, onion and BBQ sauce. Tomato sauce, cheese, chicken, capsicum, onion and sweet chilli sauce. Tomato sauce, cheese, ham, hot salami, bacon, chicken and BBQ sauce. Tomato sauce, cheese, bacon, mushroom, capsicum, onion, fresh tomato and egg. Tomato sauce, cheese, hot salami, mushroom, capsicum, olives and hot chilli. Tomato sauce, cheese, spaghetti, Bolognaise sauce. Tomato sauce, cheese, olives and anchovies. Tomato sauce, cheese, ham, pineapple, mushroom, capsicum, prawns, onion, bacon, olives, anchovies. Fold over pizza with your choice of toppings. Tomato sauce, cheese, lamb, onion, finished with a swirl of garlic sauce. Delicious! Tomato sauce, cheese, hot salami, fresh tomato and olives. Mario's Hot & Spicy Pizza: "The Ring Stinger"
Hot salami, jalapenos, chilli flakes, sweet chilli sauce, capsicum and onion on a Napoli base. Choose from - Spaghetti, Fettuccine, Penne or Ravioli. Beef and pork mince, cooked in a traditional Napoli sauce with onion and herbs. Bacon, mushroom, spring onion and cream. Roast pumpkin, spring onion, garlic, pine nuts, basil pesto in a cream sauce. Hot salami, bacon, spring onion, mushroom, capsicum, olives, garlic, hot chilli flakes in a Napoli sauce. Pasta sheets, ham, mozzarella cheese and Bolognaise sauce. Choices of Portello and Creamy Soda.